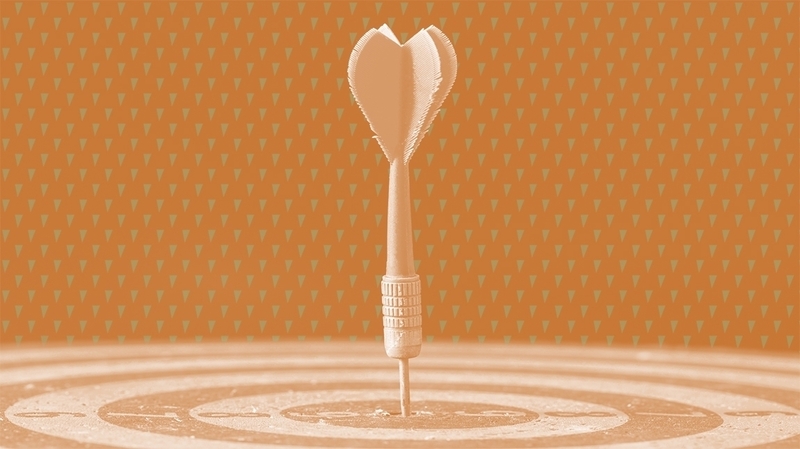 This is the first in a five-part series of articles defining the game-changing strategy of Personal Ministry Targets. There are several different types of evangelistic strategies to reach your campus. Our ministry has watched God use all of these methods to help students meet Jesus. My philosophy is “the best kind of evangelism is the kind that you do.” If you’re sharing the gospel in love, God can use it and I’m all for it! The most difficult evangelistic strategy also happens to be the most effective, in my experience. I call it the “personal ministry target” strategy and it incorporates a variety of tools in order to work. As I’ve talked to ministry leaders all over the nation I’ve noticed that the ministries that are consistently seeing growth use the personal ministry target strategy. 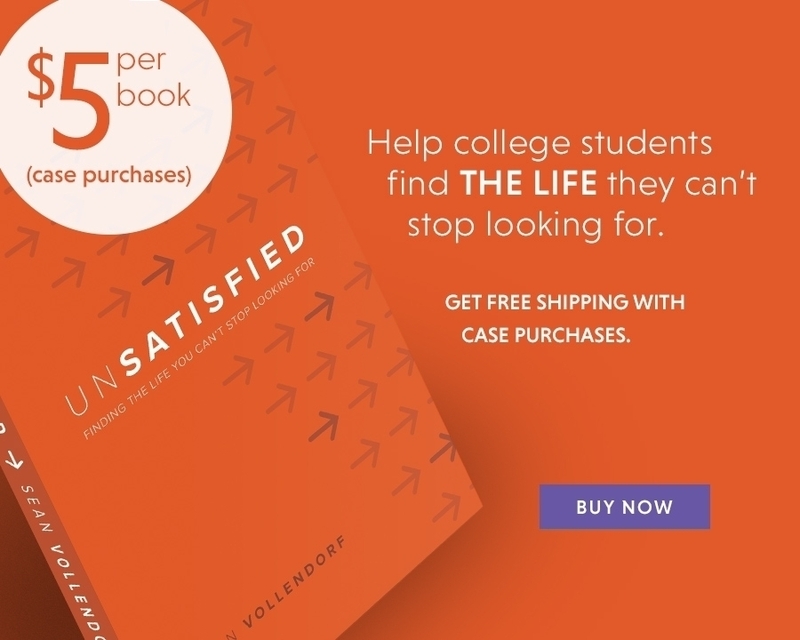 This method helps students build relationships, share the gospel, and see new students come to Christ even during the slow seasons of the ministry year. It’s also reproducible and can be adapted to any setting after college. Student leaders and staff who’ve proven to be effective at personal evangelism can become a great “farm system” for future church planters and international missionaries. The key is equipping, coaching, and releasing your student leaders and staff to engage the campus just as a missionary approaches an unreached people group. What is a personal ministry target? It’s an affinity group or pocket of people on campus who shares something in common. An ideal size would be between 20-100 people. This can be a student’s major, dorm hall, fraternity, sorority, sports team, club, workplace, common interest, or even just a specific group of friends. The goal is to pray for the people in the group, build relationships, serve them however you can, and broadly share the gospel with as many as possible. Lord willing this will lead to students coming to Christ. When this type of group ministry is successful, it’s entirely a God thing. It is extremely difficult for many reasons, but the payoff is always worth it. I believe there are people all over your campus who are already in various pockets that the Lord wants to do a great work in. God places His followers in strategic areas and relationships to help advance His kingdom. There are people on your campus who need someone to tell them about Jesus and how to follow Him. We can mobilize our teams to engage as many groups as possible until there is no group without the gospel. When I was a student at Oklahoma University our director, Max Barnett, sat down with a group of around 20 of us freshmen. He challenged us to move back into the dorms our sophomore year to reach out to the freshmen. Max laid out how living among freshmen would give us the opportunity to make an impact on them for Christ. He urged us to use our college experience to leave a legacy for Christ. The vision was inspiring. My twin brother and I lived in the freshman dorms all four years so we could share the gospel with new students. Our dorm floor was considered our personal ministry target. We got permission to move in a few days early so we could be ready to help freshmen move in when they arrived. For the first few weeks of school, we planned a series of events for our hall. These events included ice blocking, poker tournaments, sand volleyball, and even fountain jumping expeditions. We made sure to walk down the hall and meet every single guy within the first couple days. After meeting them we would scurry back to our room and write each of their names down on a blueprint of the rooms on the hall. We did this so that we could remember their names and what room they were in. Our team of five upperclassmen who lived together on the hall would get together on Sunday nights and pray over this list. To build relationships we set up a weekly time to get as many guys as possible on our hall to go to dinner together. The goal of this weekly dinner was to continue to build relationships over the year. Our goal for the end of the year was to share the gospel with each freshman. We did large outreach Bible studies on the hall and knocked on everyone’s door and bribed them with free pizza. One year we had 30 out of the 100 guys come to our first study! This helped us discover who was open and we started sharing the gospel with these guys first. Each year we saw students come to Christ. Some of these students became solid disciples who are still serving the Lord to this day. It’s my prayer that our current ministry would create momentum for having a personal ministry. It has been much more difficult building personal ministry targets into our ministry here in Chico than I first expected. At first I assumed that we would adopt the same dorm strategy we had in college. Turns out the University wasn’t into upperclassmen living in freshman dorms. This meant the momentum from students wanting to move into the dorms to facilitate the team approach we are trying to accomplish was lacking. We haven’t completely given up on this dorm ministry strategy; however, we have branched out to other ministry targets on campus. Fraternities and sororities are a highly strategic segment of campus. Athletic teams, clubs, and even majors are also great personal ministry targets. Stories are key to sharing the vision for having a personal ministry with students. Stories from your own life, even if they are not awe inspiring, will be impactful and helpful for students. If you don’t have enough stories of your own, use some from other college ministry leaders. You can also use stories that you find on our website, such as this one. The value of sharing stories is so important that I’ve started collecting stories and case studies of those doing personal ministry well. If you know some great stories of students having a vibrant personal ministry in an affinity group on campus please send them to paulrworcester@gmail.com. If you have students in the Greek system, point them to Issac Jenkins’ website to get ideas for reaching Greeks. You need to constantly be filling up your team’s vision bucket with fresh stories and ideas. In the next article, I’ll discuss how modeling the way is the second most important step to helping students reach their personal ministry targets. How will you cast the vision for having a personal ministry to your students? What stories will you share about engaging personal ministry targets? Continue reading Helping students reach their personal ministry targets, part 2 to learn how your staff team can model the way.